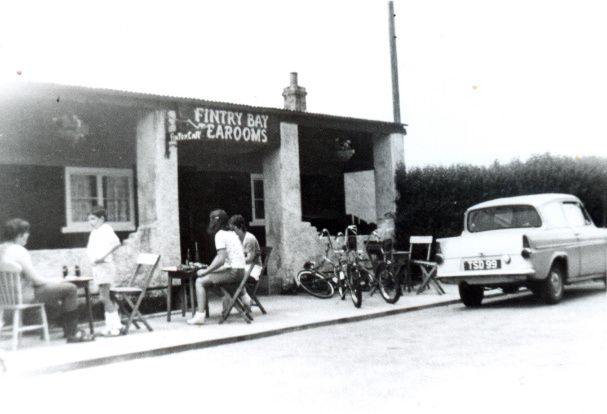 John Kennedy was an employee of the Marquis of Bute who gave him a small piece of land on the foreshore of Fintry Bay. 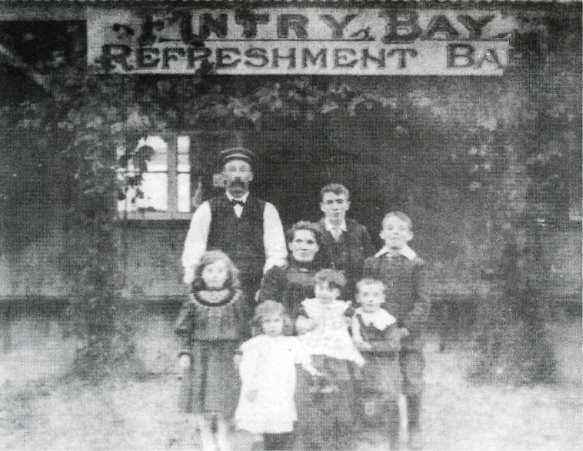 There he built a tearoom and a small lemonade factory in 1908 to exploit a nearby mineral spring. Normally the Marquis of Bute didn't allow any development on the west coast of Cumbrae as it would spoil his view from Mount Stuart on Bute. John resolved this by planting hedges to mask his building facing the shore. John Kennedy and later members of his family produced aerated waters of many flavours. They always kept up with public tastes and made drinks that were fashionable at the time. Their products included - Ginger Beer, American Cream Soda, Champagne Cider, Dry Ginger Ale, Grape Fruit Squash, Sparkling Hop Ale (Non Intoxicating), Iron Brew, Kola Champagne, Lemon Barley Water, Lime Juice and Soda, Peach de Lux, Queen's Toast and Sarsparilla. 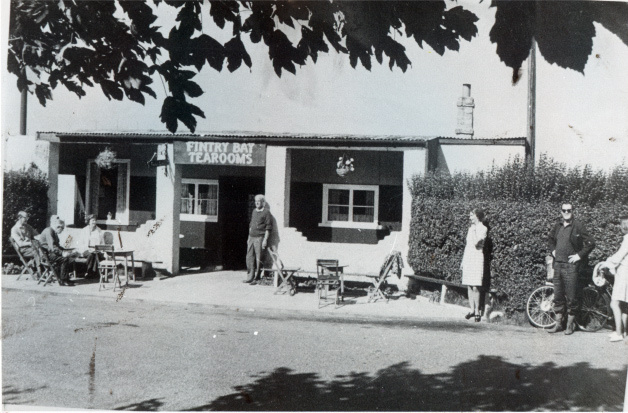 In 1986, the original tearoom and lemonade plant were in a run-down condition and the business was bought by Dave and Nicky Smith of London. They gained planning permission to build a new tearoom and house across the road. 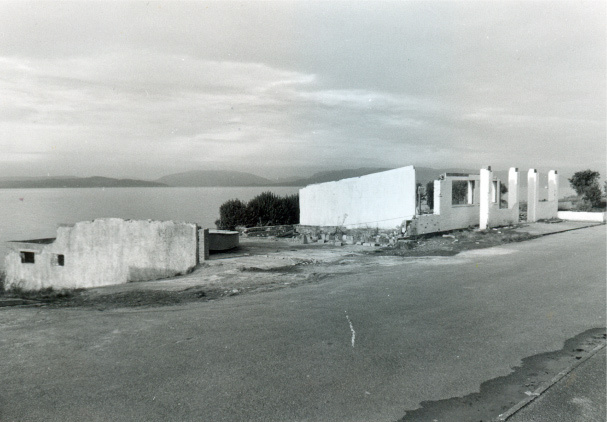 Work started in 1987 and the old buildings were eventually demolished and the land used as a car park. In 2003, Bill and Margaret Steele took over the business and expanded it to the present day tearoom and car park. However, empty buried gas canisters still to this day appear on the edge of the beach causing bomb scares much to the amusement of the local fire service. Our trails cover Ardrossan, Cumbrae, Irvine, Irvine Harbourside, Kilwinning, Largs, Saltcoats, Stevenston and West Kilbride. Have you done one of the trails? Is there something we could add to a trail? Get in touch today. 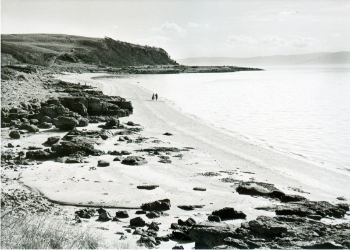 © Copyright 2019 North Ayrshire Heritage Trails. All rights reserved.